The progressive neurodegenerative disease is caused by the deficiency of dopamine, a chemical produced by nigrostriatal neurons of the brain. Degeneration of these brain cells marks the onset of the disease that can be treated but does not have a cure, expert added. “We receive about 25 cases of Parkinson’s every month and it is certainly no longer a geriatric disease. While three-fourth of the patients are between 40 and 60 years, the rest comprise patients as young as 20 years. Though Parkinson’s is a common neurodegenerative disease in elderly population, we are encountering more of young patients in India. Over the years, treatments of Parkinson’s disease has become better – newer and more effective treatment methods such as deep brain stimulation (DBS), duodopa infusion, apomorphine injection, and newer drugs such as sulfinamideare widely utilised.But one must be aware of the warning signs,” said Dr AK Sahani, Head Neurology, Indian Spinal Injuries Centre. Parkinson’s disease is marked by slowness in activity (Akinesia) such as walking, performing any activity with hands, tremor i.e. 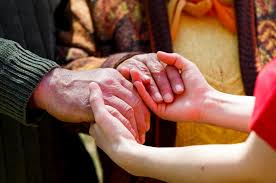 shaking of hands and legs, stiffness of muscles, slowness in voice, loss of blinking, absence of expressions on the face, lack of swinging movements of hand during walking, slowness in thinking, depression, loss of smell sensation, sleep disturbances, among others. Those who have a family history of Parkinson’s are more at risk much like those who are exposed to environmental toxins such as insecticides and manganese.